I think I’ve found my holy grail using these 2 products. 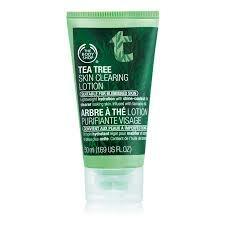 I have extremely oily skin and I use oil free everything but I NEEDED something that was going to dry my skin. 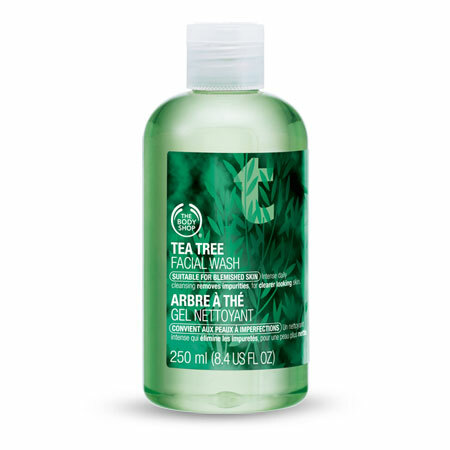 I use a little bit of the tea tree oil facial wash and the tea tree clearing lotion both by body shop twice a day and its literally a miracle worker. In the past I’ve used the toner as well as it is usually recommended but I found it didn’t work for me. This time the consultant told me not to use the toner as it contains alcohol which might have been the ingredient that was causing me irritation. I strongly recommend these to everyone who has oily skin. I’ve tried a lot of products over the year and I’m just going to give you a brief overview of each brand. Nivea – The Nivea oil free face wash, toner and cream was recommended to me because its quite simple in terms of the ingredients used. I found that this didn’t do anything for me but it didn’t make my skin worse either. Clearasil, Neutrogena, Garnier – I’ve used just about every oil free spot control thing there is in each of these collections but I found that it worked to begin with but then just didn’t do anything for me after. Dermalogica – I used the starter kit which basically gives you a sample version of each product and I thought this didn’t do anything for me. Its quite a lot of money as well so I wouldn’t recommend it. Neostrata – I was recommended by my laser clinic mainly for my acne scaring. I found it did help with drying out some of my spots however, the scars were still quite prominent. It was also quite expensive at about £40 and I just didn’t think it worked for me.